If you have ever been in a position of vehicle lockout, you’re likely very familiar with how frustrating it can be. There are many different ways this can happen, each of them with its own set of challenges. We’ll look at some of the most common ways to handle the problem as quickly as possible, so you can go on with your day. Nobody wants to be in a position like this, and we want to be there to help. It’s not uncommon for vehicle lockout to occur, but it’s always a situation wrought with frustration. Whether you lost your keys, broke a key, forget to take your key out before locking the door, or something else – all you want to do is get the situation under control. The good news is that there are many ways to do so. The first and foremost thing to do is calm down. Breathe and get into a space where you can move forward without anxiety or anger. Then consider the below solutions. Do you have a spare key? If not, you should have one. You may think you will never need it but if the time comes, you’ll be kicking yourself if it’s not available. Spare keys come in handy in numerous situations and can take a frustrating situation back down to a calm one in moments. If you don’t have a spare key, here’s your reminder to have one made and soon. If you have that key available, grab it and get going. It may not always be that simple, though. It depends on where you leave your spare key. If it’s in your glovebox and you’re locked out of the car, it’s not going to do you a lot of good. Remember that most cars lock every door when you press on the key fob. However, you should always do a quick check before panicking, because you might just get lucky. If one door opens, you can wrangle your way inside and unlock the rest. When this isn’t an option, the trunk is the next place to turn your attention. Many modern cars have back seats that fold down, which gives you better access to the interior of the vehicle. Try that, and if it works, off you go. If not, you may have to go a little further in finding a solution. That’s okay, we just want to get the simple possibilities out of the way first. At this point, you have a few more options before you call up a professional. In most cases, calling a locksmith is actually a great option. That’s the case if you can think of no other ways to get entry into the vehicle on your own. However, there may be times when you need a quick, cheap solution that will turn things around in less time than it would take to get a locksmith out to your vehicle. Depending on what you have available, you may be able to open the car on your own. Anything from a shoe string to a coat can be used to rectify the situation. However, this isn’t always possible and can be a lot of trouble so it’s ultimately up to you whether the work is worth it. If so, you can find tips online about how to use your shoelaces to open the car door or construct a budget version of a slim jim to get that door open. If none of these things work, it’s time to admit that you need a bit of help. If your car is rather new and has lots of security functions, you likely won’t be getting into it on your own. Those things are there to keep criminals out, but they can do a fantastic job of keeping you out, as well. When all else fails, it’s time to call someone who has the experience and skill to get the door open, so you can move on with your day. If you have AAA or another special provider, you can give them a call. You can also call up a local locksmith who can likely get there quickly and get things settled for you. Different services and even different contractors will have varied prices, depending on how serious the situation you are in is. Maybe you need a spare key after the door is open. Perhaps you just need the car open, so you can grab the key. Regardless, do a little research and make sure to call someone who is trusted and reliable. We mentioned earlier that many people have spare keys, but they aren’t always in the best places to be useful. Try to find a unique way to counteract that problem. Maybe you can have a spare key that you keep in your wallet or hang from a lanyard you use for work. 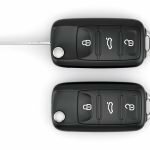 In those cases, the key will be accessible and with you at all times, which alleviates the chance of being stuck out of the car and annoyed while you try to find a reasonable solution. Another option is to have more than one spare key and to keep them in the places you spend the most time in. That might mean having one at home and one at work. This gives you options and ensures there is some solution anytime you are going about your daily activities. It’s also the best solution if you find yourself losing spares if you keep them on your person. It’s also smart to offer a key to someone who is trusted, especially if they live or work nearby. You know that someone has a key if you need it and you won’t have to call up a professional. 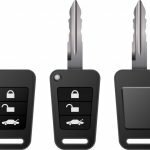 By incorporating one or more of these tricks, you’ll find yourself in vehicle lockout situations far less often and enjoy less stressful days as a result of that.